Hasbro, the toy-making empire of the world, has just come out with a brand new Press Release regarding the upcoming season of Transformers Prime. The Press Release discusses the future the show itself, to merchandising, to even the announcement of a TV Movie that will be hitting The Hub later in the year-Don't worry, Michael Bay isn't touching it....I hope. • Entertainment: Kids and fans can look forward to a beast filled season of "Transformers Prime" BEAST HUNTERS as well as exclusive content in the "Predacons Rising" DVD launching in October and a TV movie event airing later in the year on The Hub. • Online Story & Character Experiences: Witness the inception of the PREDACON faction and explore a mysterious incident in DECEPTICON SHOCKWAVE's laboratory on www.TRANSFORMERS.com. The complete BEAST HUNTERS takeover of the website will also feature insightful character biographies and a host of digital shorts for kids to learn all about the new PREDACON characters. • Digital Entertainment and Gaming: The TRANSFORMERS: LEGENDS mobile trading card game from DeNA, currently available for free on AndroidTM platforms and coming soon for iOS, will introduce new PREDACON character cards. • Licensed Merchandise: Kids and fans will be able to express their TRANSFORMERS BEAST HUNTERS style with a variety of licensed apparel and more. • Publishing: IDW Publishing will introduce a series of TRANSFORMERS comic books featuring BEAST HUNTERS characters and stories. • Innovative Toys and Action Figures: Hasbro's TRANSFORMERS product line will be based on the BEAST HUNTERS story and will feature many of the PREDACON characters as well as new designs for favorite characters including OPTIMUS PRIME, BUMBLEBEE and more. Kids will have the opportunity to play out the new BEAST HUNTERS story across the TRANSFORMERS PRIME action figure line, BOT SHOTS battling figures, KRE-O TRANSFORMERS building sets and new CONSTRUCT-BOTS customizable action figures. Each TRANSFORMERS CONSTRUCT- BOTS figure includes a robot frame and lots of armor, weapons and accessory parts to let kids build and customize and build their dream TRANSFORMERS robot action figure. To enhance the TRANSFORMERS play experience, each CONSTRUCT- BOTS figure can quickly convert from robot to vehicle and back without taking it apart. All parts are interchangeable between all TRANSFORMERS CONSTRUCT- BOTS figures, so there's almost no limit to what kids can create. For more TRANSFORMERS news, fans can keep up with the latest brand and product information on the official TRANSFORMERS brand Facebook page at www.Facebook.com/TRANSFORMERS and official TRANSFORMERS Youtube channel at www.Youtube.com/Transformers. 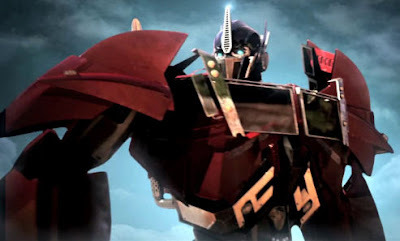 Be sure to check out our report on the "Transformers Prime: Beast Hunters" Trailer. 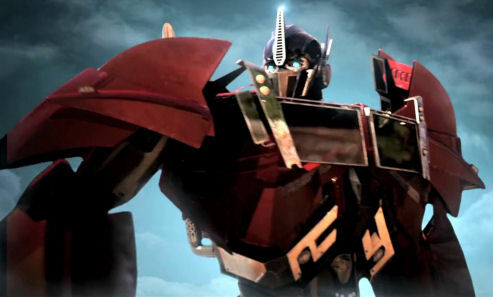 Transformers Prime: Beast Hunters returns in Spring 2013 and airs Saturdays at 3pm on The Hub.